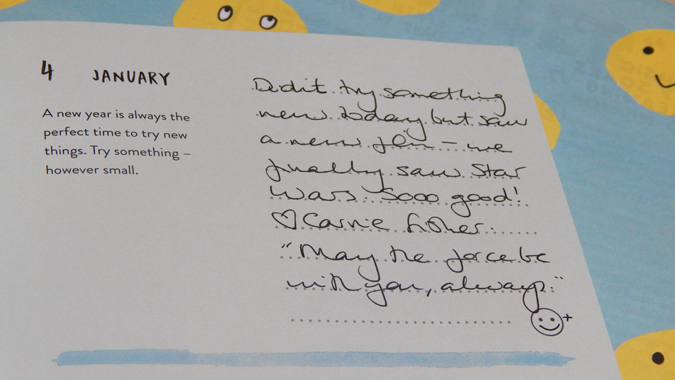 One of the lovely gifts I received for Christmas was the stunning Happy Journal by Fearne Cotton. 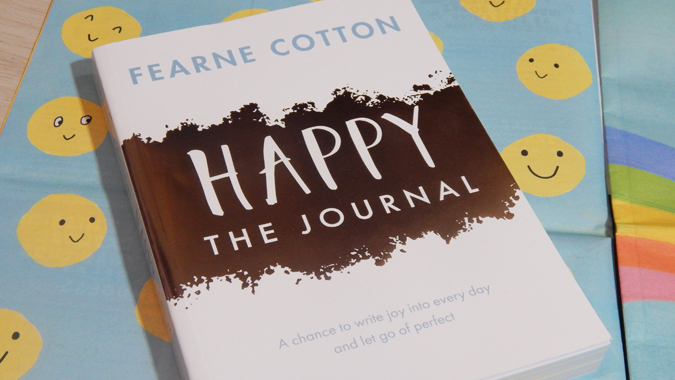 It’s a sister product to her Happy book and encourages users to find joy in every day and let go of perfect. It really is a stunning journal and I love taking a couple of minutes every evening to jot down a couple of things from the day. The prompts are productive too as, even if I feel like there hasn’t been anything noteworthy, there’s still an opportunity to reflect and plan ahead. Check out my full 2018 goals post here. 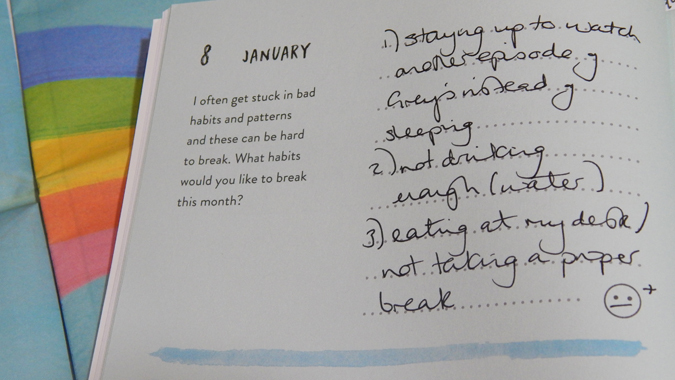 The prompts for each day are so encouraging. I sometimes read ahead a few days to try and have something relevant to say but I don’t put too much pressure on myself. 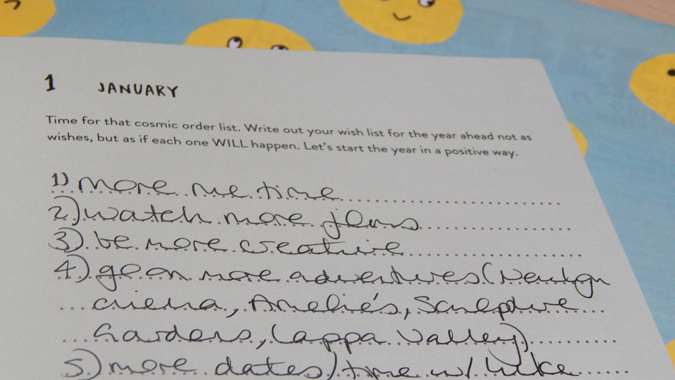 I use the journal to talk about all aspects of my life – work, family, blogging, etc. After a low stats month in December (which seems to be the case for most bloggers/influencers), I was so pleased to have a great first week in January. I typically have 2,500-3,000 views a month and managed over 1,000 in the first week, thanks to a new post being shared a few times and an oldie having great SEO. The prompts really give me a chance to be honest with myself. I go to bed quite early and used to go straight to sleep but now I have to watch an episode of Grey’s. And god help me if it ends on a cliffhanger, cos then I tend to go for a second episode and before you know it I’ve lost an hour and a half of potential sleep. The journal in itself is a great act of self-care but there are specific self-care prompts too. 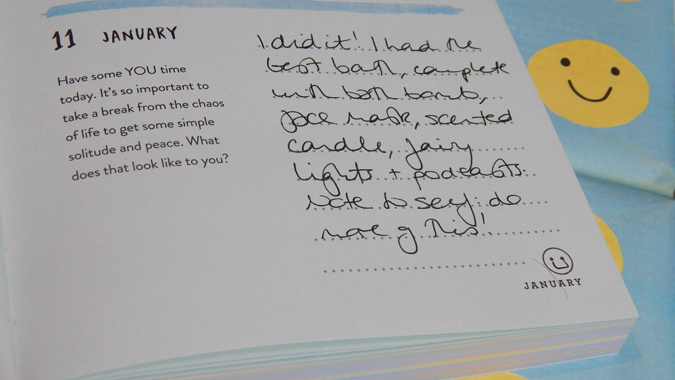 The other night I actually put everything aside for the ultimate pamper evening and it felt amazing. Something that I really lack lately is self-confidence and I’m looking forward to completing the entries which encourage me to turn this around. I already feel so much more positive after less than two weeks and I hope that continues to grow over the year. I’ll post another update in a few weeks as it’s quite fun to share. Let me know what you think. 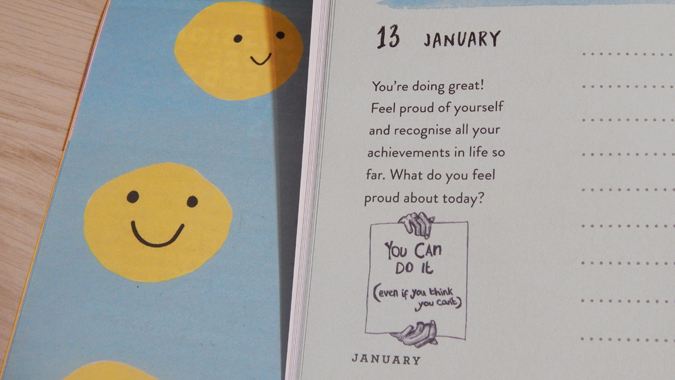 Pop back tomorrow for an extra self-care post on how to deal with Blue Monday. I’ve been looking at it but thought it might be a tad patronising – if you find it useful though then I might have to give it a second look. Yeah I was a bit dubious at first but I really love it. There are different themes for each month too.